It makes meetings more productive. Solstice improves meeting start-up times, participant engagement, and productivity when teams come together. Intuitive collaboration with no technical limitations. Unlimited content sharing that unleashes human capital. Solstice removes technical barriers to better collaboration in the meeting room by allowing any number of connected users to share unlimited content. 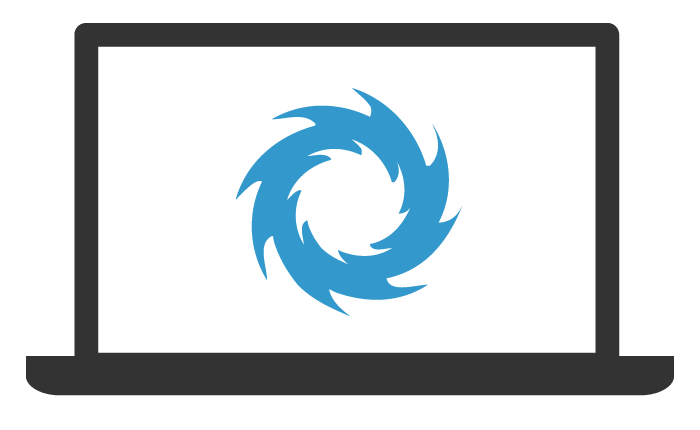 Stream device screens, share videos, post individual application windows, and view web content — bridge them all into your meetings seamlessly with Solstice. From simplifying how users connect, to providing the best sharing options and layout control available, the Solstice app delivers a one-of-a-kind user experience that meeting participants have come to love. Did you know? The Solstice app is the same on every device, delivering a consistent experience for rapid user adoption and greater ROI. 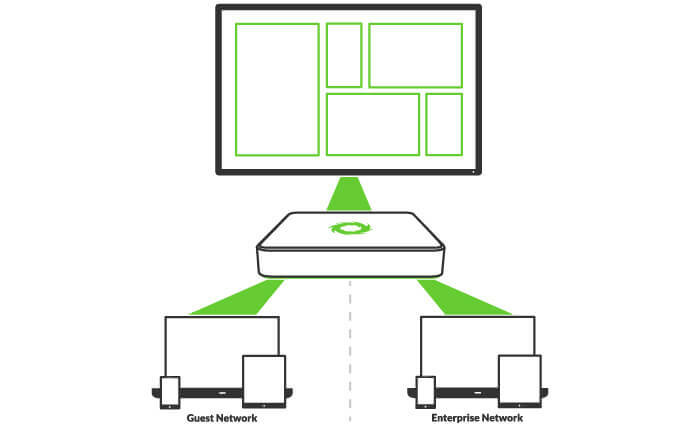 Secure collaboration for guests via the Pod’s dual-network mode. The Solstice Pod’s dual-network mode supports secure collaboration between users on two separate WiFi/Ethernet networks, such as corporate and guest users. The Pod’s two network interface cards are completely distinct with separate routing tables, enabling seamless collaboration without compromising the security of either network. Powerful tools (and peace of mind) for technology managers. The Solstice Dashboard provides centralised, one-to-many management of every room in the Solstice deployment, as well as access to enterprise features such Multi-Room, quality of service (QoS), and displaying room schedules, RSS feeds, and branding on the Solstice welcome screens. 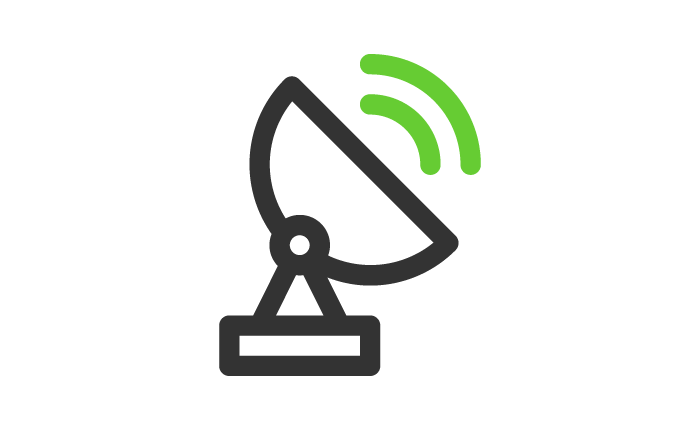 The Solstice Discovery Service (SDS) is an IT-friendly mechanism used to find and connect to Solstice displays from their laptops and mobile devices. SDS also enables other Solstice capabilities including Multi-Room. The Solstice OpenControl API supports integration of the Solstice deployment with third party systems such as room controllers and existing management dashboards. 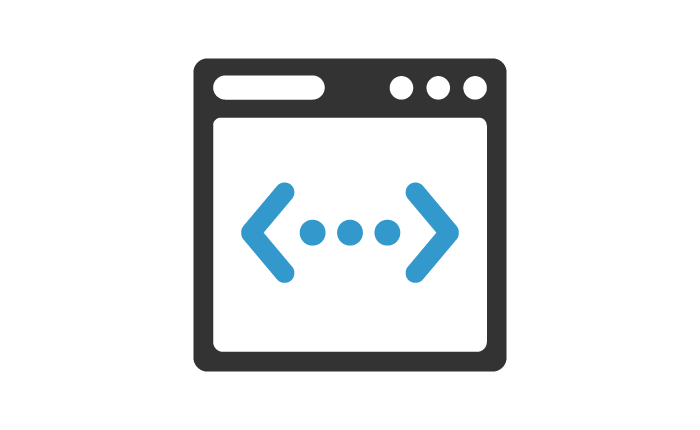 The OpenControl protocol leverages a simple RESTful API. Solstice has been deployed in some of the most secure government and private organisations in the world and is hardened with multiple layers of security features and protocols. 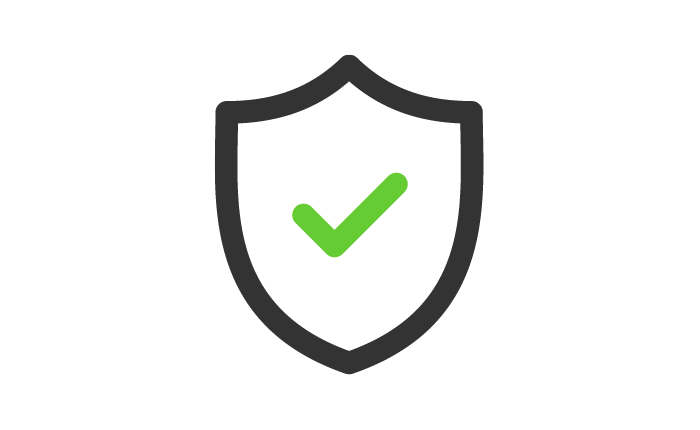 User and admin authentication, network encryption of Solstice traffic, and annual third-party penetration testing — these features and more ensure every Solstice deployment remains secure. Value-add capabilities delivered via regular software updates. Solstice provides customers access to new features and capabilities via lightweight software updates. 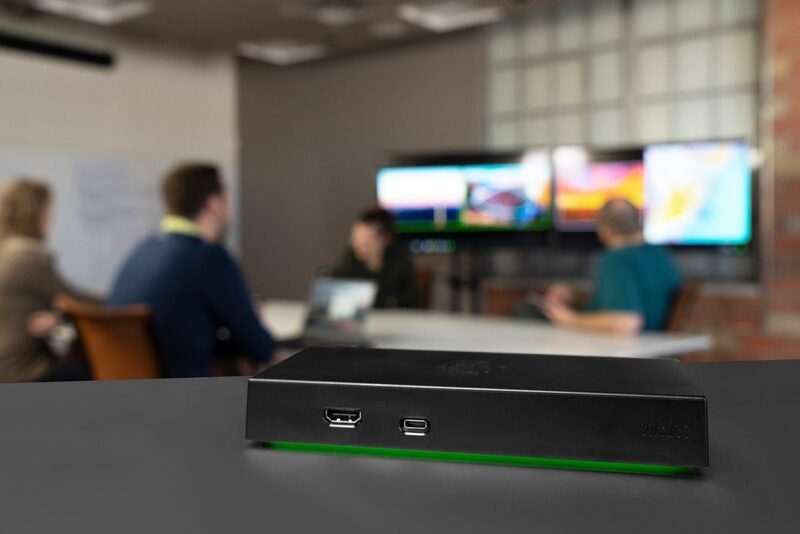 The recent 4.0 release along with our new Gen3 hardware platform take meeting collaboration and productivity to new heights serving as the ubiquitous platform for the modern meeting space and includes features that support freedom when sharing large amounts of content throughout a meeting. Check out the Solstice 4.0 overview video to learn more about Solstice 4.0 and Gen3, or reach out to us if you'd like to schedule a roadmap review of upcoming features and capabilities. Please note that current Solstice Subscription (formally maintenance) is required to access all updates. Need a quote or more information about Solstice? Please submit your information and we'll be in touch soon. To inquire about the status of your Solstice Subscription (formally maintenance), please complete the fields below.